ZYIA Active is throwing another promotional trip and I am going to try my best to earn this one! These representative trips always seem to land right around my birthday. So that is an even bigger incentive and desire to want to go! Trust me after the year I have had if you have been following along on my Instagram or tuning into the Mommy Wines Podcast then you know, that this girl right here needs a vacation more than she needs air! There are multiple ways for me and even YOU to earn this trip. If you are interested in being a party host and you live in either United States, Canada, or Puerto Rico please let me know in the comments of this post or DM me on Instagram! Being a party host is completely free and super duper easy. All you have to do is invite your friends to a Facebook Event! I'll do the rest. 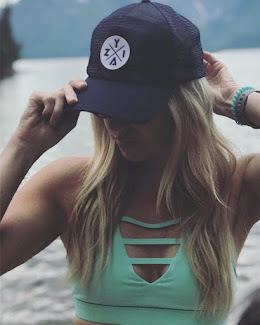 I will share insights on why I love ZYIA and the premium quality along with contests, prizes, fitness motivation, workout challenges and so much more!! If you love activewear, fitness, are on a weight loss journey, want to get fit after baby, or want to work on your terms from anywhere on your phone or laptop.... Then ZYIA Active is probably for you! I use ZYIA as a way to hold myself accountable in my journey to a healthier lifestyle and reward my fitness progress. What's better than some retail therapy after hitting your goals anyways?... Ummm nothing thats what! If you are looking for a side hustle (it's 2019 who isn't) or even a full time gig DM me! ZYIA is an opportunity where you get what you give, plus bonuses like these awesome trips. 3.) Great Customers like YOU! The last, but certainly not least, way for you to help me earn this trip is by supporting my ZYIA store. If you don't want to host or become a rep yourself...even though you get a lifetime 25% discount and everything included in the starter kit and a $200 ZYIA gift card. You can simply just shop www.myzyia.com/emmadawn. ZYIA always has fast shipping and if you already love ZYIA and have been dreaming up a wishlist now is the time to splurge! 1.What is ZYIA Active’s Spring Promotion Trip? 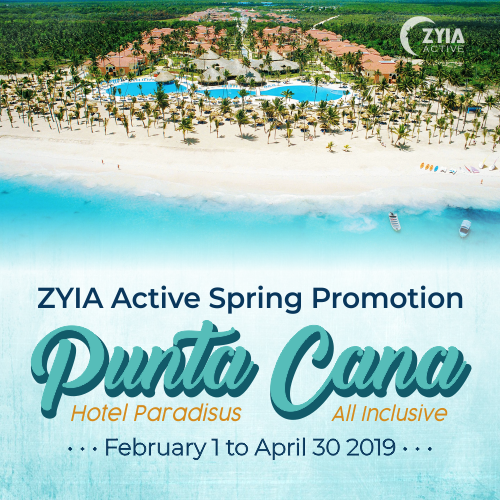 our amazing ZYIA Reps at the beautiful and all-inclusive Hotel Paradisus in Punta Cana from Friday Oct 18 thru Monday the 21st, 2019. 2. How can I track my points? and then the “Punta Cana Pts” folder. 3. How will I be notified if I qualify? At the first of March, April, and May if you’ve qualified we will send you an email congratulating you and confirming with you your trip details. 4. How does airfare work? Reps are responsible for your own airfare to the event. If you earn 65 pts we will add $500 to your following months commission and if you have 80 pts we will add $1,000 to offset the travel costs. 5. Can I bring a guest? Yes at each qualification level you may bring one guest. Guests can be another ZYIA Rep.
6. Can I bring more than one guest? You may bring more than one guest but you’d be responsible for working directly with the resort to make accomodations for your additional guests. Pre and post stays are subject to availability and you will need to work directly with the resort if you plan on arriving earlier or staying later. 7. Can children stay at The Hotel Paradisus? 8. Can I be reimbursed for my plus-one if I cannot bring a guest? NO reimbursements will be given if you are unable to bring a plus-one. Chances are good you know someone who would love to join you! 9. 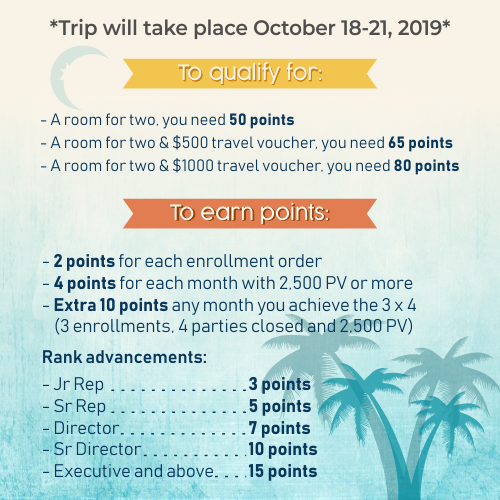 If I qualify, but am unable to attend the trip will a cash value be rewarded? Yes $500 will be added to your commissions in May if you’re unable to attend. 10. If I qualify and register, but then have to cancel will there be any penalties? No. 11. Will I need a passport? Yes! You and your guest will need passports to attend! Citizens of all countries need to provide documentation for themselves. Keep in mind, obtaining a passport takes time. We encourage you to look into how long it takes to get a passport now and especially after officially qualifying. More information on how to obtain a passport can be found online or at your local post office. ZYIA will not cover any passport/documentation costs. 12. 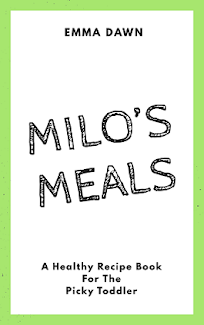 Will meals be covered? All meals and drinks at the resort (including alcoholic beverages) are covered. 14. Will all expenses be covered during the trip? Reps are responsible for any entertainment and/or excursions outside of all-Inclusive benefits at The Hotel Paradisus. 13. How will I get to the hotel from the airport? You will be responsible for arranging your own transportation from the airport to the hotel. 14. Where can I see every detail of The Hotel Paradisus?